The conditions finally fell in line for me Saturday after a good rain and a forecast that called for more rain later that day. 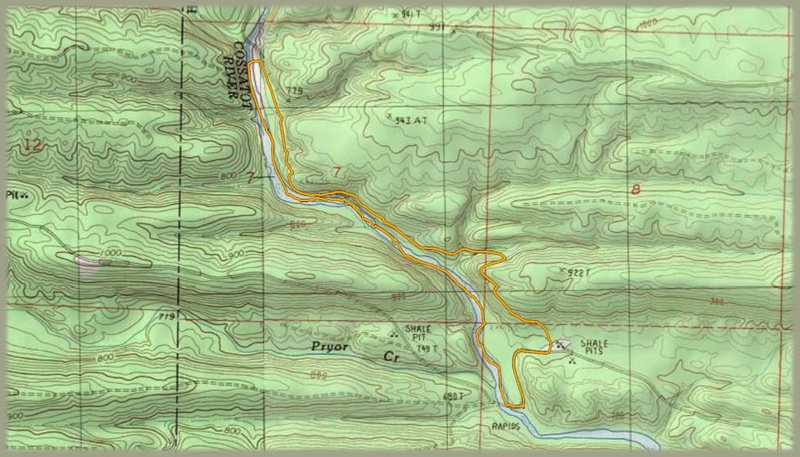 I have not been paddling in a while and was eager to float as opposed to hike...and the Cossatot River was calling me. I arrived at the put-in at Ed Banks Rd around 6:00 a.m. with weather conditions of light fog, very light mist....temp around 41...dark. I dumped my gear and drove to the Sand Bar bridge. 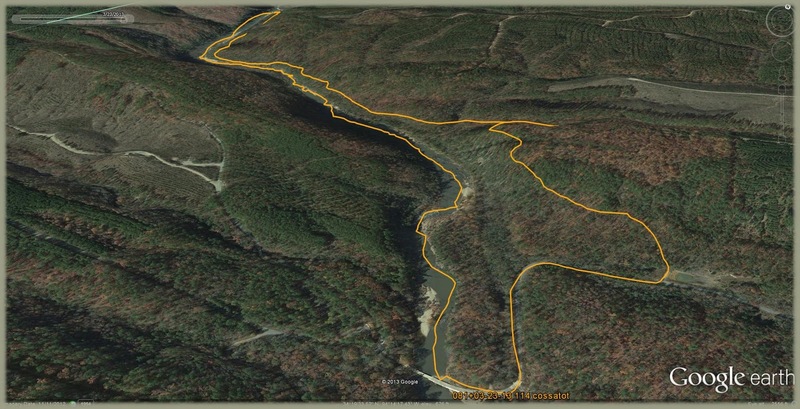 From there I hiked the Cossatot River Corridor Trail back to the put-in...which is only 2 miles. This is a good trail with 5-6 bridges...one that crosses right above a nice waterfall. By 7:45 I was paddling down the river with a decent 4.2' level. It was a beautiful morning with no wind to speak of. As is typical, I had the river to myself at this time of day. By 10:15 I was back to my vehicle and home by 1:15.